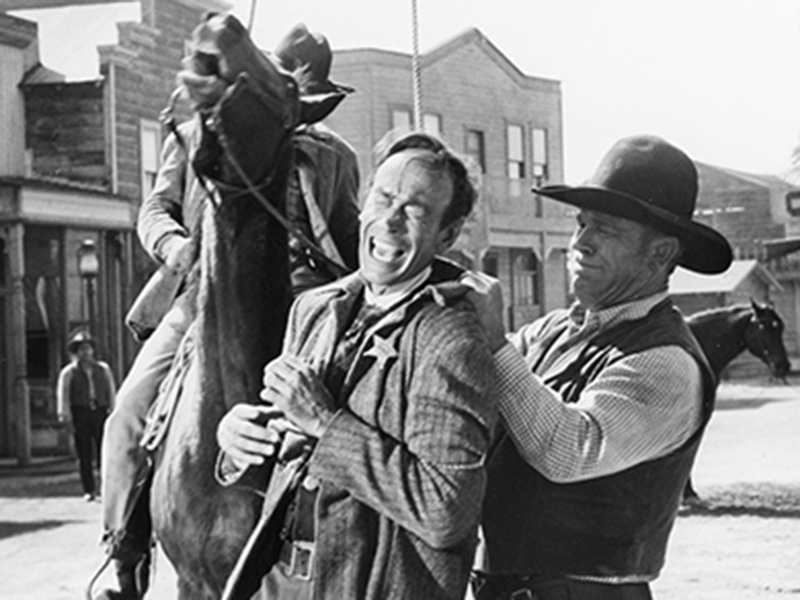 Filmed at Gene Autry's Melody Ranch in Placerita Canyon, the Robert L. Jacks picture Man From Del Rio (United Artists, 1956) was directed by Harry Horner and starred Anthony Quinn in the title role. Katy Jurado (pictured) played the female lead. A prominent actress in Mexico, Jurado continued to appear in Spanish-language soap operas in the 1990s. Pictured with Jurado is Douglas Fowley, who played the town doctor, Doc Adams, in this picture. Jurado plays Estella, his assistant. 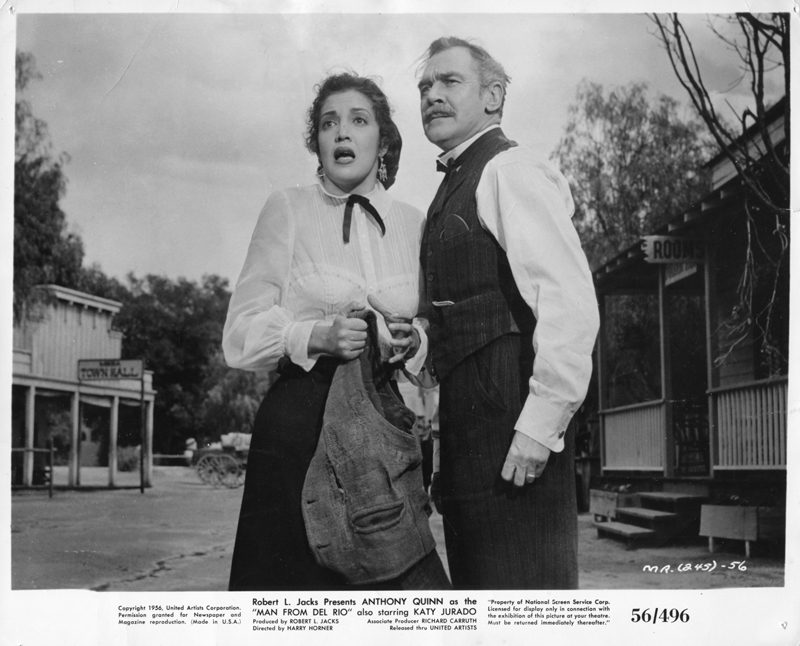 Fowley (5/30/1911 - 5/21/1998) is perhaps best known for playing Doc Holliday in the popular 1950s ABC television series, "The Life and Legend of Wyatt Earp," which was also shot at Melody Ranch. LW2286: 9600 dpi jpeg from production still purchased 2012 by Leon Worden, donated to SCV Historical Soceity.